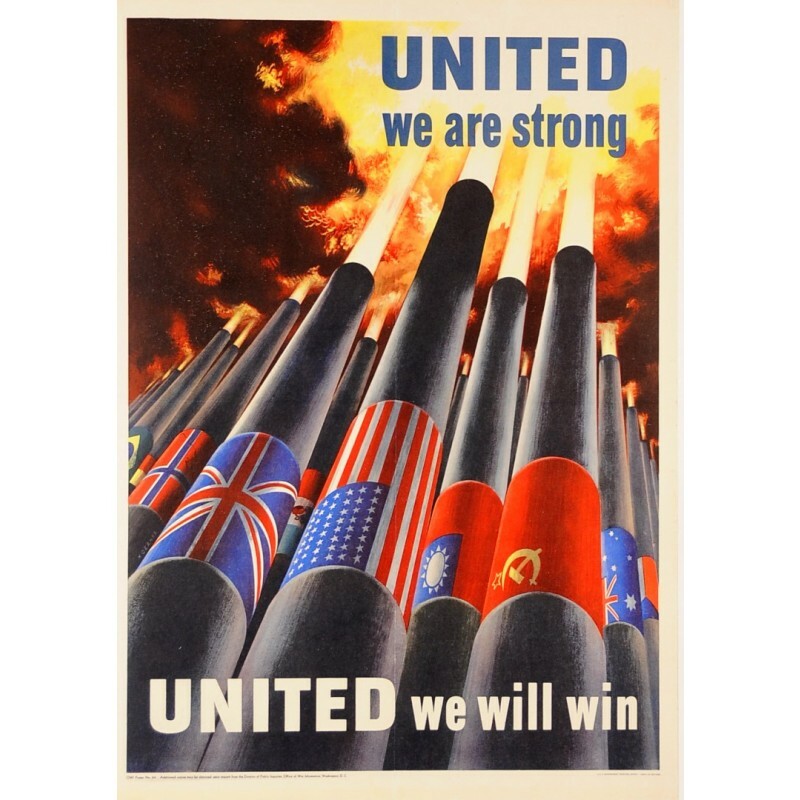 A poster realized in 1943 by Henry Koerner (1915-1991) and commissioned by the Office of War Information. 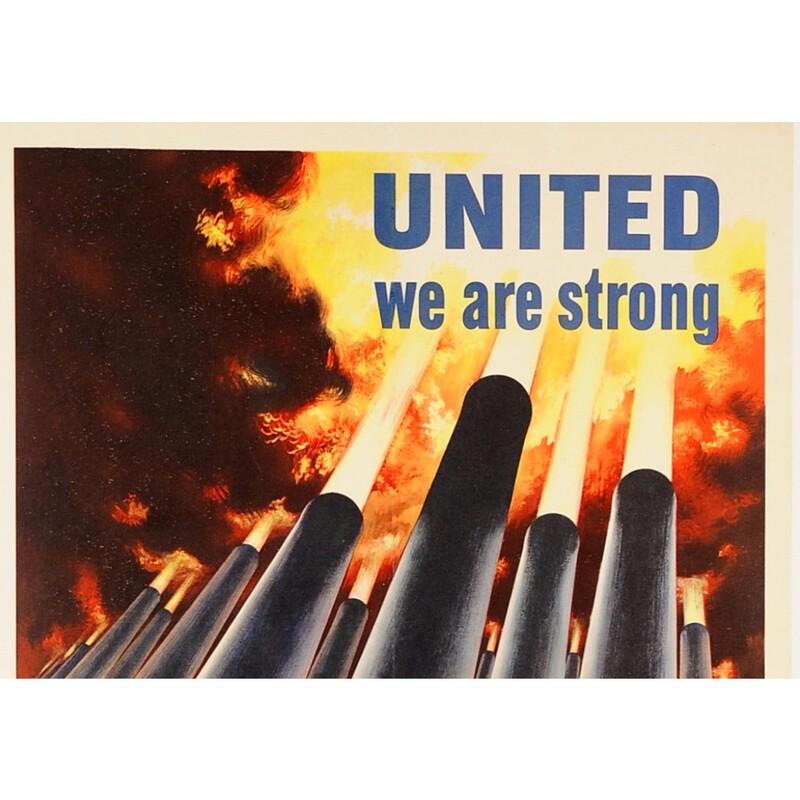 The theme of a united alliance for victory was common and used frequently in war posters. 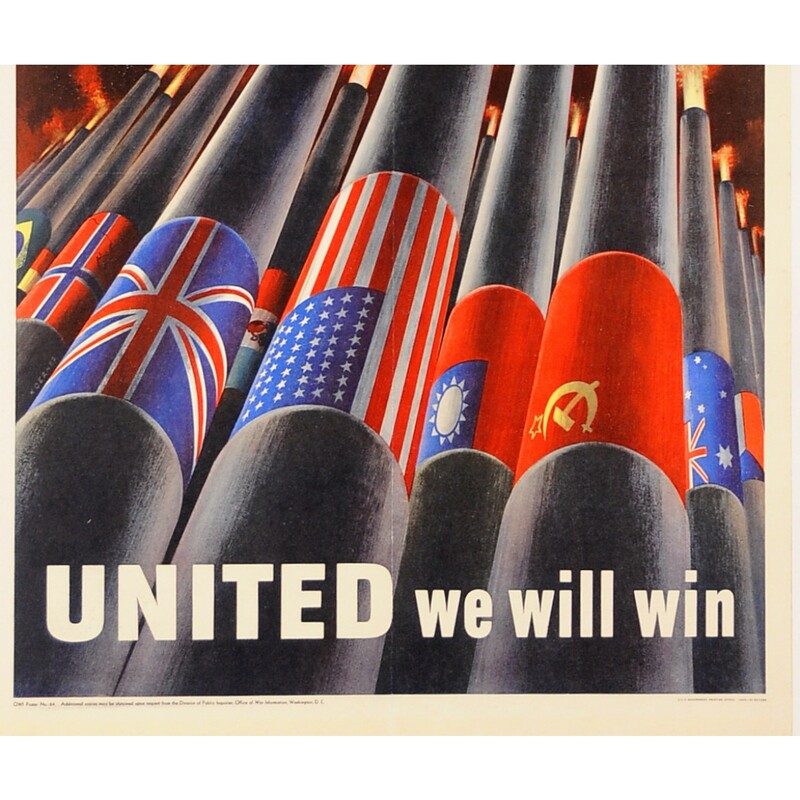 This poster is a well-designed image of artillery barrels firing in unison with the identifying flags of the allied countries. As with Koerner´s other poster, Save Waste Fats for Explosives, exploding energy effectively draws attention to the poster message. 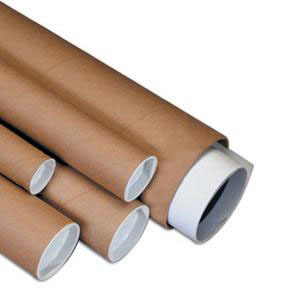 Learn more about determining poster condition.